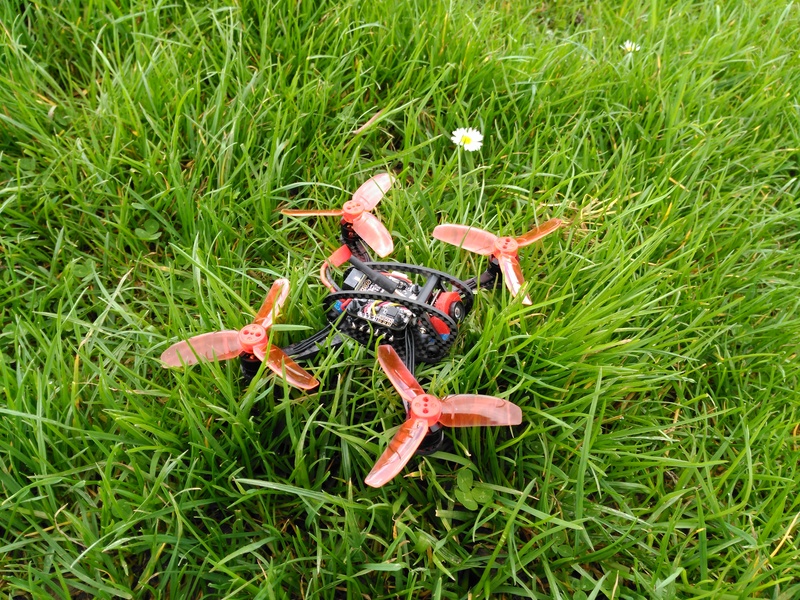 The Leader-120 is a more than capable mico quad from FullSpeedRC.com. The Leader-120 is on a 120mm carbon fibre frame, 3mm thick with 2mm side plates that offer protection to the FPV camera and flight stack. Weighing in at only 99g including its 2S 30C 500 mAh lipo. 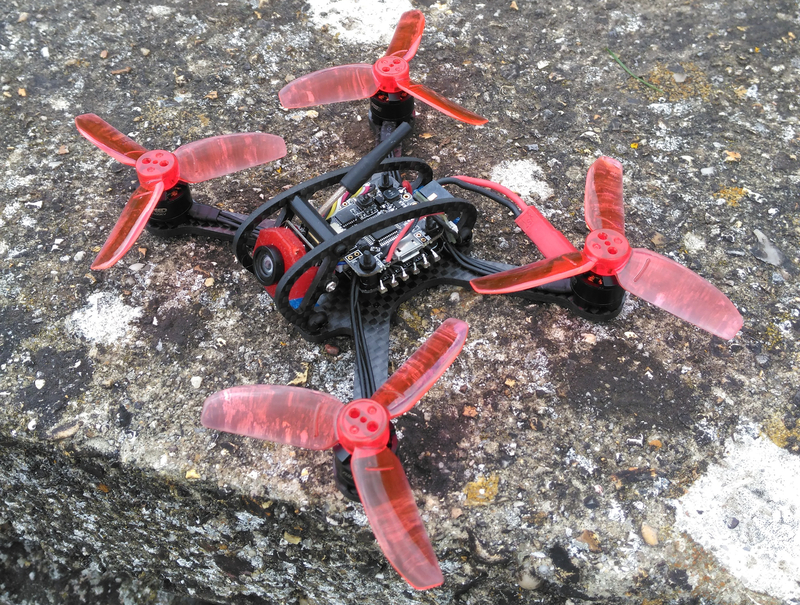 The Leader-120 is equipped with Full Speed 1104 7500KV brushless motors powered by a 4 in1 28A ESC running Dshot600. The flight controller is a Minicube Betaflight F3 with the SPI MPU 6000 gyro and betaflight OSD. The FPV camera is a combined 600TVL HD Camera with 25MW 40CH video transmitter. This micro squad has plenty to offer to a new FPV pilot or a more experienced one looking to try something smaller. 120mm carbon fibre frame with 3mm arms and 2mm side plates for protection. 28A 4in1 ESC running Dshot600. F3 flight controller with betaflight OSD and MPU6000 gyro. Full Speed 1104 7500KV Motors. 600TVL CMOS Camera with 25mW 40Ch Video Transmitter. 2S 7.4V 30C 500mAh 5 Minutes of flight time. The 2840 tri blades give plenty of thrust and will still give you over 5 minutes of flight time. F3 flight board with OSD and the MPU6000 gyro. Flying as stock with stock PIDs it flys really well out the box. FPV camera and 25mW VTX combined saves much needed space on build this small. No instructions or pin outs come with the leader. So you have to research the FC and VTX to find the information you need. The FPV camera is only held in by one screw into a TPU mount. It moves easily. The motor wires aren’t fixed down to the arms and small branches or twigs could get caught under neath them. JST lipo connector for battery. People seem to upgrade this to an XT30 to handle the current better. If you don’t have a large open area or are put off by the idea of flying a bigger 5inch quad. Then the leader-120 is a good start point for you. Buy it BNF (Bind and Fly) if you don’t want to solder an RX onto the board or PNP (Plug and Play with your own RX). The leader-120 is quick agile and with good flight times of about 5 minutes. It has good build quality and feels really solid in your hands. So far it has stood up well to my crashes. The leader is full of features, OSD, Betaflight FC, Buzzer, CMOS camera an VTX as standard. More than enough to give you a taste of this hobby. 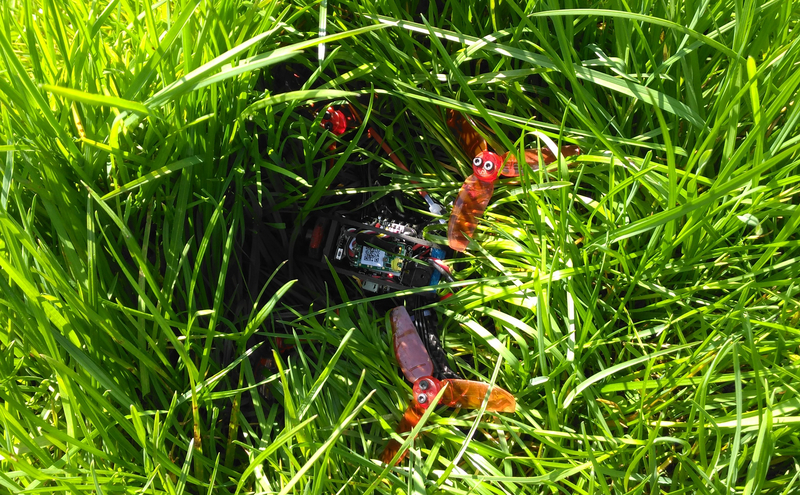 The buzzer is a must on builds this small as it helps you find the quadcopter easily when you crash in long grass. The flight stack consists of custom designed parts from fullspeed, FC, ESC, Camera and VTX as well as the buzzer. The 4in1 ESC just plugs into the FC no soldering to worry about on this tight build. The boards are stacked together with nylon standoffs plenty strong enough for a build this small. The flight stack is protected by the 2mm carbon fibre side plates also protecting the FPV camera. The 4in1 ESC is rated for 28A with a peak current draw of 35A. With its plugin connector to the FC, the only things you have to solder are the Lipo connector and the motor wires. The motor pads are all superated from each other. So no chance of shorting motor wires together. Sitting above the ESC is a custom-made F3 flight controller. 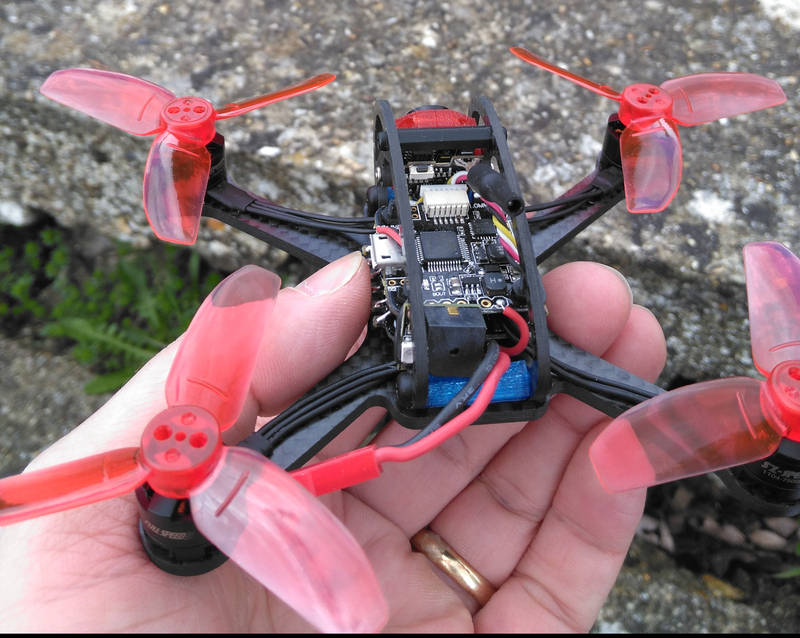 It includes a betaflight OSD and uses the trusty and vibration resistant MPU6000 IMU running at 8Khz. The USB port is conveniently located at the side and supports IBUS, PPM and DSMX receivers. The bootloader pads get lost under the RX, but with Betaflight CLI DFU commands flashing a new firmware won’t be an issue. 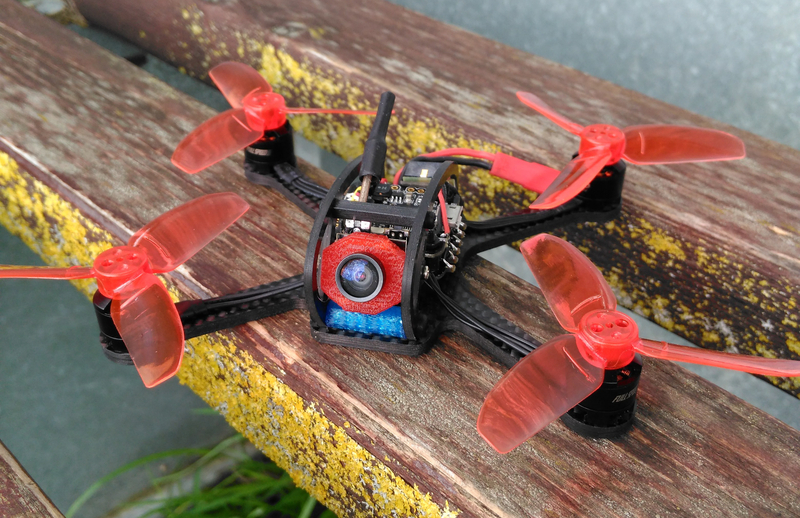 The custom designed camera and VTX from full speed are combined into one small unit. The camera has a CMOS sensor with 600TVL resolution offering a clear picture full of colour. 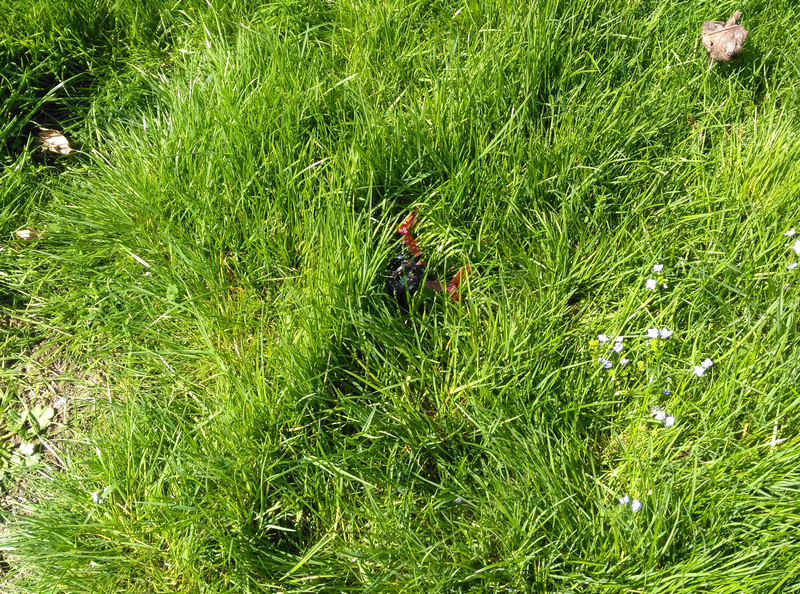 I didn’t have any problems flying from sunny open areas into shady areas under trees. Changing channels is easy with a push button on top allowing you to change channel, band and from NTSC or PAL. The LEDs on the back of the VTX make it easy for you see what you have selected. The 25mW outputs into a linear antenna. Keeping the build small and lite without having something that can be broken off like an open clover leaf antenna. 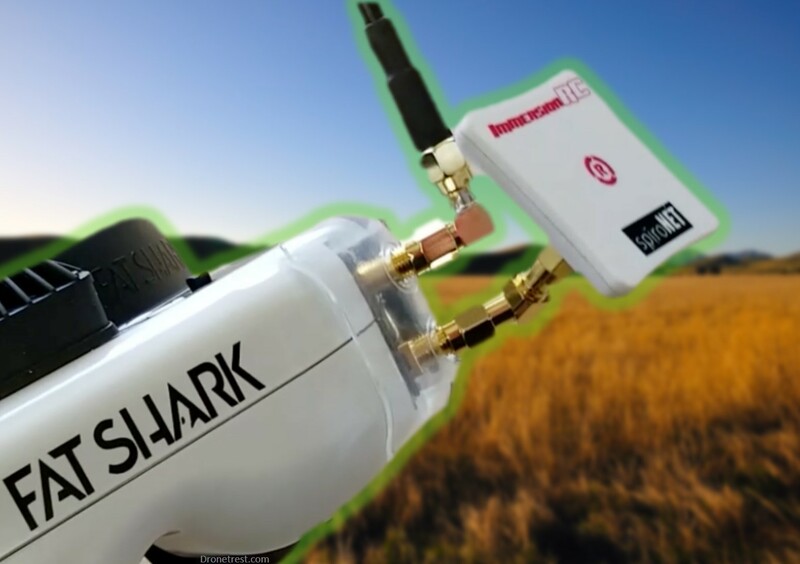 The Bind and Fly options give you the choice of Frsky, Flysky or Spectrum receivers. Giving you plenty of choice for what transmitter you prefer to use. Like a 5inch quad but smaller. The Leader-120 maybe a microquad but with its prop and motor combination. It fly’s really well. I’ve been flying on stock PIDs and with the stock 2S lipo as this is what most people will start with. Its fast and has no problems tracking when going around corners the control feels precise and responsive allowing you to fly with confidence. 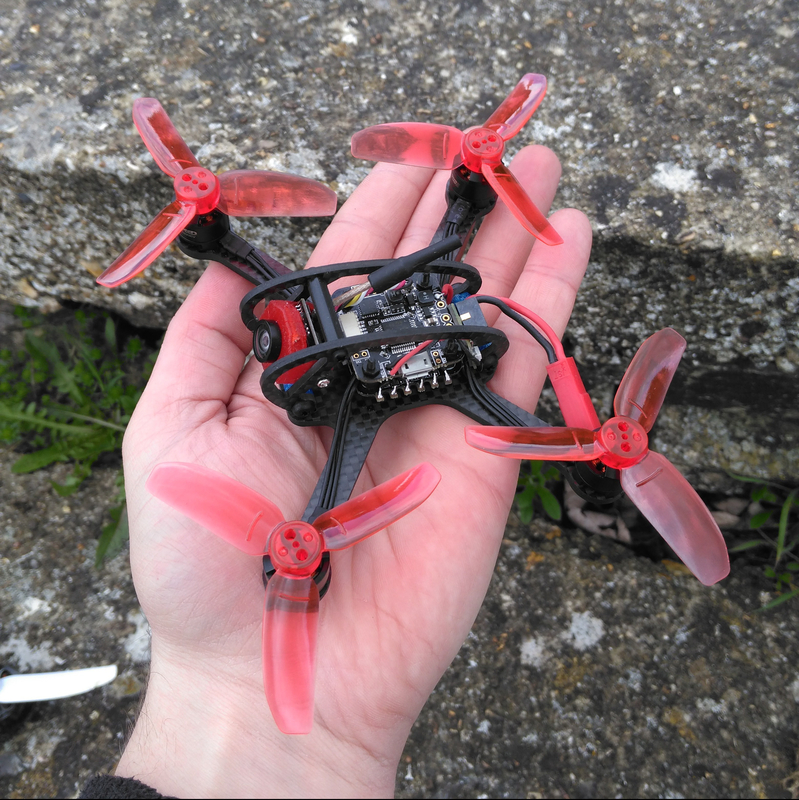 I was surprised at just how well it flew, it is agile and has no problems recovering from flips or rolls. I find that after I’ve finished a pack. I’m looking for the next pack to get back in the air. 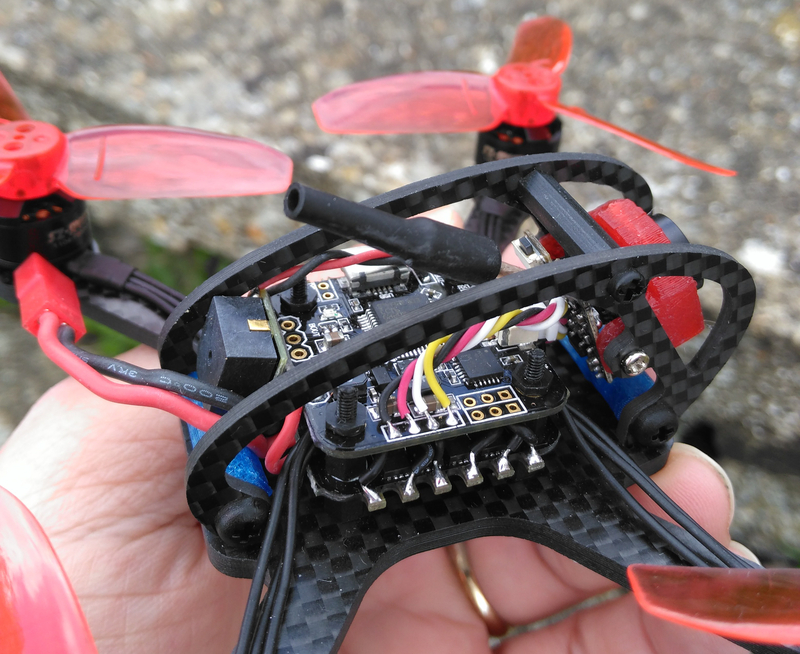 This is a really good microquad and won’t leave you feeling disappointed. Its small agile and well built with good flight times. Its a good way into the hobby set at a good price point and what you learn with the leader you can take with you to bigger builds. Thanks for reading this review and I hope that it has helped you make an informed decision. If you have anything you think I missed out, or want to add your own opinion please do so by joining the discussion. If you are going to buy this quadcopter, you can help us out by buying from one of the links here, as we earn a small commission to help us write more awesome articles for you. Eachine Wizard TS215 👾 Review - Does the magic continue?